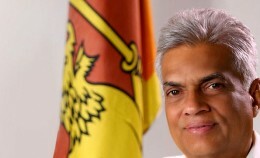 Prime Minister Ranil Wickremesinghe yesterday promised further reforms to the United National Party (UNP) structure. 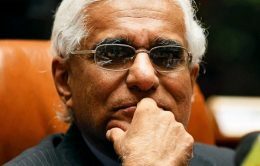 Internationally acclaimed Sri Lankan film producer and film director Dr. Lester James Peiris has passed away at the age of 99. Dhamma or the teachings of Buddha is a purifying factor for the human mind propelled by lust, hate and violence. The pious festival of Vesak reminds us the virtues of practising four focuses of mindfulness in order to dwell with Dhamma as no other refuge. Buddhists all over the world celebrate the Vesak Festival with much religious fervour and enthusiasm to commemorate the important events that took place in the life of Gauthama Buddha on this day, namely the birth of Siddhartha Gauthama, Siddharta Gauthama’s supreme attainment of Buddhahood and the Mahaparinibbana. 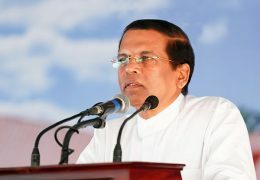 President Maithripala Sirisena says the school is the best medium to carry forward the message of national reconciliation to the society. 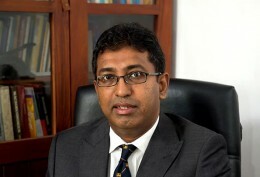 State Minister of National Policies and Economic Affairs Dr. Harsha de Silva yesterday ruled out the possibility of introducing measures to contain the devaluation of the rupee, in the wake of the local currency hitting record lows against the U.S. dollar. 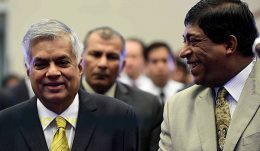 Speculation is rife in political circles that the government is planning to accommodate former finance/foreign and justice ministers, Ravi Karunanayake and Wijeyadasa Rajapakse, respectively, in the Cabinet. 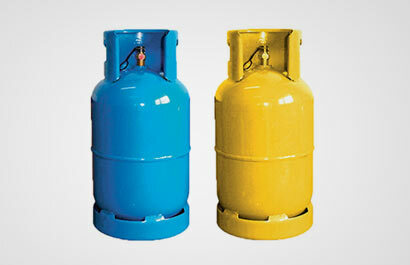 The price of Litro and Laugfs domestic gas cylinders (12.5kg) will be increased by Rs. 245 with effect from midnight today (27). The Wattala branch of a bank has been robbed by an individual who arrived on a motorcycle at around 2.30 PM today (27). 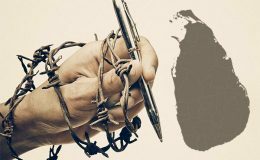 Sri Lanka has climbed 10 spots to 131 in the 2018 World Press Freedom Index compiled by Reporters Without Borders (RSF). The island nation has a score of 41.37. 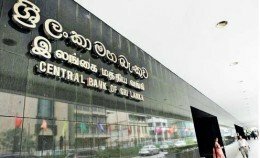 The Central Bank projects Sri Lanka’s economy to pick up to 5.5 percent in 2019 from an estimated 5 percent this year. The JVP’s 20th Amendment: A constitutional Trojan horse? 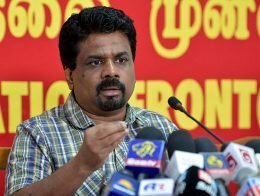 The JVP has stated that they will be presenting the motion to abolish the executive presidency as a private member’s Bill next month. 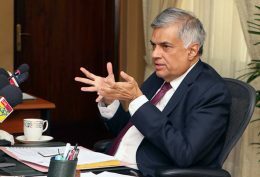 Even though they have said that they will agree to electoral reform, too, if that is deemed to be a prerequisite for the abolition of the executive presidency, they have not given any indication that they will be including provisions for electoral reform as well in their draft 20th Amendment. 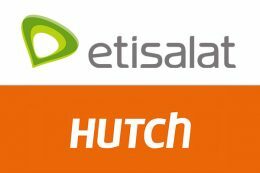 Etisalat and Hong Kong-based CK Hutchison have agreed to merge their mobile telecommunications operations in Sri Lanka on Thursday, the Abu Dhabi Securities Exchange said. Mr. Ajith Basnayake has been appointed as the organizer of the Sri Lanka Freedom Party for Gampaha Electorate and he received his appointment letter from the President Maithripala Sirisena at the President’s Official Residence today (26). Beliatta SLFP organizer Eraj Ravindra Fernando, who was involved in the “toy pistol’ case two years ago, was appointed as the Mayor of the UNP-led Hambantota Municipal Council with a majority of two votes this morning.